With Video Games it is very difficult to pinpoint what might be the best of 2015 come this time in 2016. In today’s world a lot of the great games are independently made and fly under the radar. Also many games will be announced during E3 2015, most of those titles will likely be 2016 releases, but some will make it just in time. Some of our titles on our list this year were actually on our Most Anticipated list last year. Now that the developers have had enough time to make the games perfect for gamers, we can really bet that they will be strong. There is no official release date, but there’s a strong chance the game will be released this year. We’re always looking forward to the new “Legend of Zelda” game, and with Nintendo’s strong track record of games lately, you have to be excited about this new Zelda title. 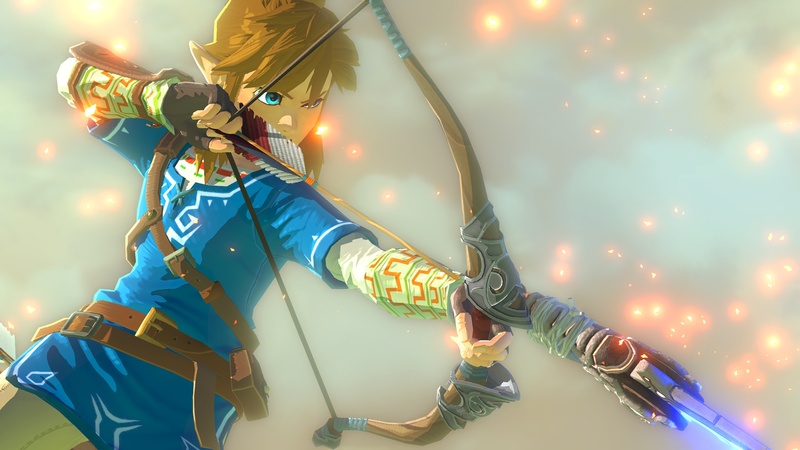 Nintendo stated that the new Legend of Zelda will take place in a fully connected overworld, similar to the original “Legend of Zelda,” with less emphasis on defined entrances and exits to dungeons. The franchise may have needed a change of pace after “Twilight Princess” and “Skyward Sword” were great, but didn’t leave the kind of legacy that other past installments did. “Uncharted” has proven to be one of the most shining Sony exclusive franchises since the days of “Spyro.” We’re getting to the point in the franchise where things are supposed to start going downhill, but “Uncharted” seems to continue to please fans and the fourth installment isn’t looking to disappoint. The game is slated for 2015 with no definite release date yet, watch out for it at this year’s E3. One of the more interesting aspects of “The Witcher 3” is that it features a new engine called REDengine 3, developed by CD Projekt RED and designed specifically for nonlinear role-playing video games set in vast open world environments. This game was also pushed away from 2014. The development team cited the main reason for the delay was manual fine-tuning of many details and thorough testing of the final product to bring it up to the desired standard of quality. “The Order: 1886” has been on the horizon for some time now. It is now officially slated for February 20th and should, hopefully, become the first big game of 2015 and maybe start Sony’s strong year of exclusives. The game will be single-player only, so it’ll hinge on having a strong story, something that PlayStation exclusives have become known for as of late. Paul Dini, writer of the first two games in the Arkham series, said he would not be involved in writing “Arkham Origins,” a game Warner Bros. went on to produced without Rocksteady. Instead Rocksteady has been busy with perfecting “Arkham Knight.” After “Batman: Arkham Origins” received mostly negative reviews stating that it felt recycled, it will be welcoming to see what the original team comes up with. As of now the game is slated for a June 2nd release. Fans of the “Kingdom Hearts” franchise have been waiting a long time for this game. Co-director Tai Yasue expressed his feelings about the expansive universe of Disney, now including “Star Wars” and Marvel Comics as well stating that they were “looking at all of Disney, the new ones as well.” He expanded, saying, “We want variety in our new “Kingdom Hearts,” so we don’t want too many of one sort of world, that would look the same. For each world there has to be some meaning for it, in the plot.” This game would be higher on the list if it wasn’t just speculated for 2015, it may be facing a likely push. Franchise development director Frank O’Connor explained that “Halo 4” pushed its game engine to the limit, such that moving on to the Xbox One called for the development of a new game engine. 343 has made several comments about the desire to make something bigger and better than “Halo 4,” but even after the beta testing these past weeks, it’s hard to tell if “Guardians” will be anything more than just a bi-annual “Halo” game. The late Tom Clancy makes another appearance! “Rainbow Six Siege” is the next “Rainbow Six” installment that fans have been waiting awhile for. According to Ubisoft there are major differences to older versions of the game, featuring a heavy multiplayer focus and destructible environments. If “The Division” can’t re-define multiplayer Ubisoft may have another chance with this title, it is slated for 2015 with no precise release date.